Regardless of whether you are using your gun for hunting or protection, improving your ability to see the target and effectively aim can make all the difference. While iron sights are great in the beginning, most gun owners are looking to upgrade their gun.The best way to do this is by getting a red dot sight. These advanced sights can be attached to a number of different guns. While they are commonly used on rifles, they can be used on pistols and shotguns as well. Before you go out and buy the first sight you see, there are a few things to consider to ensure that you get the best sight for your needs. In essence, a red dot sight is an optical device that is designed to give you an advantage over your target. 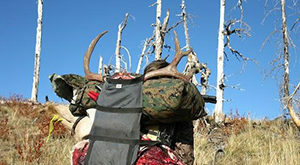 Hunters often use them to ensure that their shots are effective and on the mark. Even military personnel and law enforcement members use them on their guns. The sight itself mounts to the gun rail, much like a telescopic scope. However, red dot sights do not magnify the image. Instead, it illuminates a reticle onto the image of the target that is viewed through the window. This reticle is produced by a laser or LED light. The reticle helps shooters perfect their aim. The name comes from the image that shooters will see. Most commonly, you’ll see a simple red dot on the target to help you aim. That being said, some manufacturers use green lasers or LED lights as well as other reticle designs.There are a number of different types of red dot sights out there. They all use multiple forms of technology to help shooters boost their performance. In addition to improvement in their aim, shooters will experience less eye fatigue, better consistency, and almost no parallax. Not only that, but they can be used in low lighting conditions. This helps shooters stay stealthy at all times. They can even be paired with magnifiers and night vision equipment. This red dot sight is military grade. It is used by the United States military in operations today. While it is geared towards professionals, it is available for any gun owner. It is a holographic sight, using a laser to produce the reticle. The reticle itself has a small 1 MOA dot inside of a 65 MOA ring. While the sight has an open housing design, the lenses are water and fog proof. The small design is light, yet effective. The smaller size actually leaves room on the gun rail, allowing you to pair the sight with a magnifier or iron sight. It is suitable for any condition and designed for unlimited eye relief. All in all, this is one of the higher end options available. At roughly $500, it certainly isn’t cheap. However, if you want military grade precision, this red dot sight is for you. For a more affordable option, you can get the Bushnell Trophy TRS-25. Bushnell is highly respected in the optics industry thanks to sights like this. 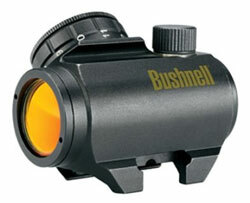 It is a reflex tube sight.However, Bushnell has managed to create an incredible small and lightweight sight. Unlike other tube sights, this sight weighs just less than 4 ounces and measures only 2.4 inches in length. It is a great option for shooters who want a low profile sight. The reticle is a simple 3 MOA dot, which is a good size that won’t affect your field of view too much. There is also a unique amber coating that helps improve your vision. The amber color increases the contrast of the image, making it easier to spot your target. The sight fits onto Weaver style and Picitinny gun rails, making it compatible with most modern rifles. At roughly $90, it is a great mid-priced sight that helps to improve your aim without breaking the bank. 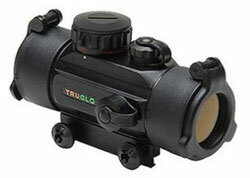 The Truglo Red Dot sight is unique option for any shooter. It is a reflex tube sight. However, the Truglo red dot is only 4 inches long, leaving ample room for additional accessories on your gun rail. When it comes to build, this sight is designed to be shock resistant, fog proof, and water proof. Additionally, it uses a small lithium battery that can last up to 6,000 hours. One of the unique features about this sight is the dual colored reticle. It uses both green and red illumination on the 5 MOA dot. Additionally, there are adjustments for brightness control. The multiple coatings on the lenses prevent any additional light from reflecting into the sight. The objective lens is quite large compared to other sights. At 30mm, you’ll have a wider field of vision. With a low price tag of $55, this is a great sight for close range shots and quick gains. This red dot sight is incredibly versatile, yet affordable. It has an open design, reducing its footprint so that it can be used with additional equipment. It is a reflex sight that uses multiple LED lights to produce different reticles. The large viewing window is coated to provide unlimited eye relief and protection. The body itself is made from aircraft grade aluminum alloy to ensure that it can withstand some wear and tear. The thing that sets this red dot sight apart is its ability to display different reticle designs based on your needs. You can use a 2.5 MOA dot, crosshairs, a dot inside a ring, and a ring with crosshairs. There is also the ability to choose between red LED lights or green. The sight has adjustment for windage and elevation as well to ensure that you get the perfect shot. It is at the low end of the price spectrum, costing under $35. 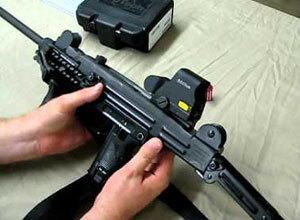 This UTG sight is designed for instant target acquisition, hence its ITA name. It uses a 4.0 MOA for quick, close range shooting. It is a reflex tube sight with multiple adjustments for optimal shooting. There are fine adjustments for brightness and the choice between green or red LED lights based on the lighting conditions. Furthermore, the lenses have a special emerald coating to prevent extra light reflections. The sight can be used on a Picatinny rail. It has special mounting decks for quick detachment. It also has a handy lens cap to ensure that the sight stays safe when not in use. While it may seem rather large, it is designed to mount at the optimal height. It can be used with the iron sight for extra precision. With a price tag of $50, it is a great option for hunters. It’s designed for use in the wilderness, allowing for quick adjustments and precise shooting. When you are searching for the perfect red dot sight, you should consider what you will be using the sight for. Most sights function in the same way. However, there are a few features that differ from manufacturer to manufacturer. You should determine what variables are important to you and choose accordingly. The first thing you should consider is the type of reticle you need. The reticle is the aiming point that is projected onto the objective lens. It is illuminated, making it easy to shoot your target effectively. Not all reticles are made the same. Some have simple dots while others have more intricate designs. Some sights don’t even use a dot, instead displaying a chevron pattern or triangle. It is important to choose a reticle based on what you will be using it for. For example, a smaller dot is best suited for shooting from a farther distance. A larger dot will only hinder your view of the target, rendering it useless. There are also more refined and versatile reticles available. Many red dot sights include outer rings with a smaller dot in the center to make up for variable shooting distances. These outer rings can provide even more consistency and direction. 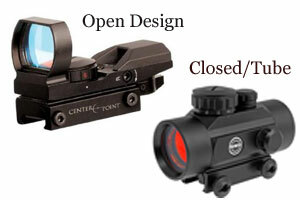 Other red dot sights include crosshairs and grid lines to help determine distance while shooting. For the most versatility, higher end sights include multiple reticle styles that can be changed for different situations and shooting styles. Sights and scopes use minute of angle measurements. Reticle specifications use minute of angle to determine their size. A smaller the minute of angle represents a smaller dot. Circles and crosshairs are also specified, allowing you to get a better idea of how you could use the sight practically. Skilled shooters can use the reticle design and minute of angle measurements to determine how far away they are from their target. 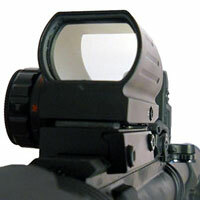 The projection of the reticle is what makes red dot sights unique. There are a couple of different methods of projecting the reticle onto the image seen through the window. Sights are classified by the way they project the reticle. Red dot sights can be reflex or holographic sights. Reflex sights are more common among hunters. Inside the sight, an LED behind the lens shines onto the objective lens. The objective lens acts like a mirror, reflecting the light into your eye. This mirroring effect isn’t noticeable because the lens only reflects the wavelength of the LED. All other wavelengths can pass through. The led produces the reticle, giving the appearance that it is projected onto the target. 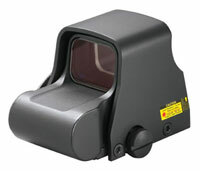 Holographic sights are commonly used by military and law enforcement. With these sights, a laser diode shines from the front of the lens. It shines through the viewing window, illuminating a holographic reticle. These sights tend to be more intricate in design. 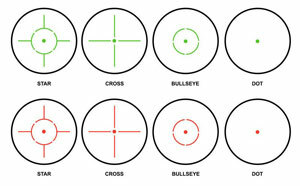 The reticles often include more detail for strategic shooting. Red dot sights include a number of different components, depending on the technology and classification. When it comes to the design of the device, components can be closed off in a tube or open. Tube sights are similar in appearance to normal scopes. Their tube design houses all of the necessary components. They are a great option for shooters who need a more rugged option. The components are protected in the metal tube casing. Additionally, tube sights are more versatile. They can be used with filters for more control in changing conditions. If you go with a tube sight, you’ll also have better visibility in sunny locations. The tube helps to block out the sun, providing a clearer image. Open sights are less bulky and have a much smaller footprint. Also called “mini red dots,” these sights don’t have any unnecessary components. They have a bare design, only housing the objective window and illumination source. Unfortunately, these sights don’t work well with filters. For most red dot sights, battery power illuminates the reticle. Battery life is a huge factor to consider. Reflex sights that use LED illumination have more battery life than their holographic counterpart. LED lights use little power. In fact, batteries can often last over 1000 hours before needing to be replaced. 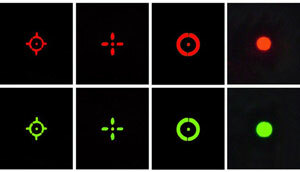 Holographic sights use lasers, which require more energy. Typically, these sights run out of juice faster. Advances in sight technology have allowed some sights to use alternative forms of power. Instead of worrying about battery life, these sights use fiber optics and tritium capsules for power. These sights don’t have any electronic parts, but they often suffer when it comes to illumination. Many of these sights are known to wash out in brighter locations, rendering them useless. Luckily, technology is rapidly changing. There are new developments that allow sights to run for years without having to worry about replacing the power source.